What is the Pay it Forward System Now? 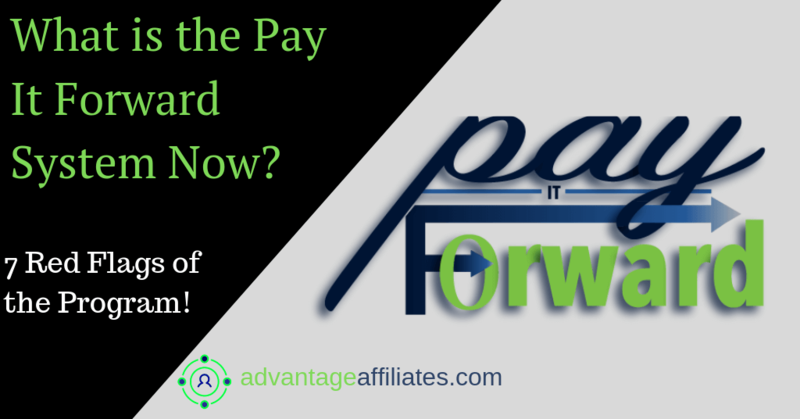 What Is Pay it Forward System Now All About? How Pay it Forward System Now, Really Works? 5. Chain of SCAM Programs! 7. You end up spending more money than you earn! How Much Pay it Forward System Now Really Costs? Is Pay it Forward System Now A Scam? Welcome to the review of Pay it Forward System Now! Do you want to earn money from the automated website, Danielle is giving to the first 35 people? or are you searching if Pay it Forward System Now is a scam or a legit opportunity to earn money? Let me help you to find out the truth about the Pay it Forward System Now, and guide you in the right direction to make money online. As per Daniell, it is totally free, and for a limited time available program, and a one time opportunity for anyone, to make thousands of dollars, for the leisure of home. 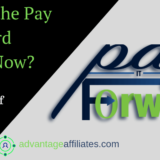 Pay it Forward System Now, is an automated system, per Daniell the owner of the program, and once set you don’t have to do much, just need to spend less than 20 minutes. Daniell is giving out a free website, for first 35 people, and they can earn such huge money as shown in the sells video of the program. Honestly, it is a program which is based on Affiliate Marketing, a very legit way of earning money online, and thousands of people are earning great commissions out of it! 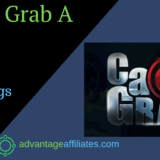 But definitely Affiliate Marketing does not work as shown in the sells video of the program, it needs hard work, proper training, and tools to be successful in this field. After closely reviewing the Pay it Forward System Now, I have come across many Red Flags of the Program. Let’s discuss these red flags of the Pay it Forward System Now. The first Red Flag of the program, Pay it Forward System Now is that it is not free as it is claimed by the owner Daniell Rose. To get enrolled, you have to pay $1, now $1 is not much money but once you are enrolled you need to pay $18.95, just 5 days after signing up. Not only this you have to pay the membership fee that cost all the way up to $2000, and if you buy all the upsells of the Pay it Forward System Now, you end up spending more than $9,000! The Pay it Forward System Now, the program does not hesitate to make some very unrealistic and hyped income claims like earning $ 6k in a week, that too doing only less than 20 minutes of work! 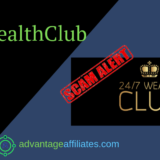 If you watch the whole of sales video of the program, you will only listen to these hyped income claims of the members, and not once any one of them tell, what exactly they did, and how they made such huge money within a week. 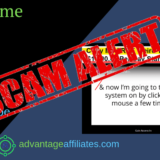 There should be a system or a formula, which you follow to earn money online, you cannot talk vague things like in the sales video of the program, and you want people to pay you $ 9,000, just by listening to these hyped claims! 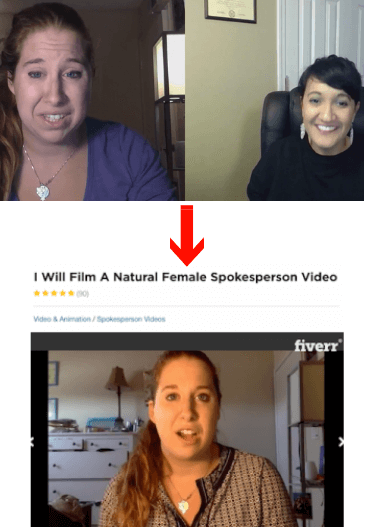 If that is not enough, what is worsed that all the people who claim that they have earned thousands of dollars, through this program, are all paid actors from Fiverr! For $5 to 10, they make such promotional videos whoever pay for them. Is it not questionable, that a program which claims to earn of $6k in a week time, find no single person to share their success story with others, and it is the biggest concern of the Pay it Forward System Now program. 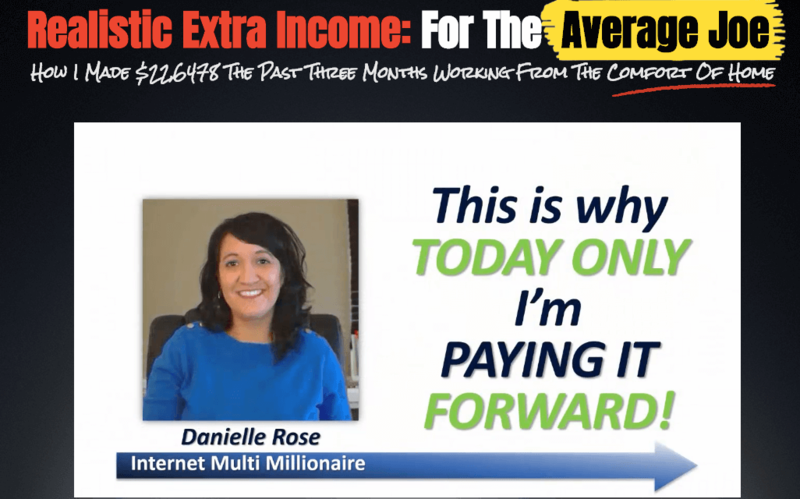 The height of the fraud is, the owner of the Pay it Forward System Now, Danielle Rose, who claimed herself as Online Multimillionaire, is not a real person! You will not find a single proof that she is the owner of the program, or even of that she exists! The Multimillionaire does not have a single social profile, you will not find her on Facebook, Twitter, Instagram or Pinterest, nor she provides any contact details, where one can contact her. Just by making a video and claiming that she is a multi-millionaire, does not make her claims real and trustworthy. It would have been a lot better if she had provided any real contact info on the sales page. The program is not interested in making you a millionaire, but only to make as much money from you as possible. 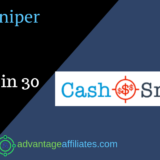 Even the check which is provided as an income proof of the Pay it Forward System Now is the check of another program named My Super Affiliate Mentor, also known as The Super Affiliate Network! Even if you see the date on the check, it goes back to 2011, when even The Super Affiliate Network did not exist, it was launched in 2015! It seems like it is a chain of fraudulent programs, which try to deceive and scam people by changing the name of the programs. 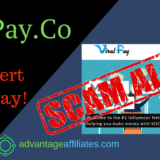 As you see this program Pay it Forward System Now, is not a real program and it has links with the Super Affiliate Network and My super affiliate mentor. If you click on these links, it leads you to Income Engine lite website, and there too the information is not available, as it shows page error! It is always advisable to stay away from such programs, who may misuse your personal information, and sell it to the third party for the sake of money. I strongly suspect that these dubious programs collect your personal information like name, email address, phone number and sell these data to another third party, and earn money. Pay it Forward System Now, is all about recruiting people, it is basically a High ticket program where you need to invest in thousand to earn back. Unless you recruit other people under you, you will not earn a single dime! And all the upsells are nothing less than $2000, even you have to buy their membership which only costs $2000! The worse part of the program is that you constantly get nudged for buying the upsells, and if you do not have money to buy these upsells, don’t get surprised if you are advised to borrow loan from the bank. Unless you buy these upsells, your mentor will not earn commission for the program, nor you will be able to earn the commission, so it’s a vicious circle of this program, and my only advise to you is to Stay Away from Pay it Forward System Now program! 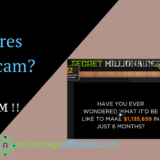 AZ Millionaire Method Review – A Borderline Scam! Pay it Forward System Now, costs $1 at the front end, then you have to buy monthly upsells of $18.95. Besides you have to buy their membership, which cost you $2000. All the upsells cost you around $9000! I would not recommend Pay it Forward System Now, to anyone and if you are serious about earning money online I would like to have a look at the Online Platform where I am working for a few years now. It will teach you everything about affiliate marketing, provide you all the tools and training for Free, so nothing to lose right? I hope the Review of Pay it Forward System Now has helped you to make an informed decision.